Some of the Kern High School District’s top scholars were honored at the Project BEST (Black Excellence in Scholarship and Teaching) Senior Scholarship Banquet held at Bakersfield College. Opening comments for the 2018 Kern High School District (KHSD) Project BEST Senior Scholarship event were provided by Dr. Bryon Schaefer, KHSD Superintendent, who reminded the students to continue giving back to the community and thanked Project BEST volunteers and KHSD administrators for their service and dedication to the students and the organization. This year’s Keynote Speaker was Mr. Quinn Woodard, an Electrical Engineer and Supervisor from Chevron. He shared his educational journey with the audience, challenged the students to become mentors and urged them to get out of their shells and get involved in their communities. Three students offered personal Senior Reflections during the ceremony. Dominick Christopher from North High School, Bryce Jackson from Stockdale High School, and Malcolm Francisco from South High School spoke about the opportunities Project BEST provided them throughout their high school experience, and how much the support of their advisors meant to them, to assist them with encouragement and academic success. A total of 86 seniors from 16 KHSD schools with programs dedicated to Project BEST were honored during the evening, with the students receiving certificates, watches, and scholarships. Six students received additional recognition for their academic achievement and community service, including Ihsan Ahmed from Bakersfield High School who is the recipient of the Gayle Batey Achievement Award for highest GPA with a 4.5. Chevron sponsored this special event and was also on hand to make a check presentation for $20,000.00 of additional scholarship money for future KHSD Project BEST students. 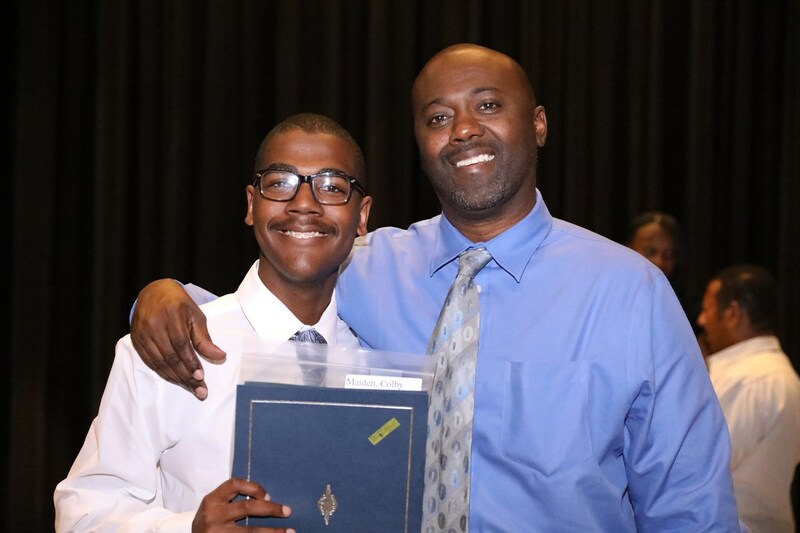 Project BEST was instituted in 1992 to increase the graduation and college attendance rates of the KHSD’s black male students. Project BEST works toward academic success through efforts such as tutoring, counseling, college and university visits, and assistance with college and scholarship applications. Project BEST is a partnership between the Kern High School District, CSUB, the local business community, parents, and students and is privately funded and financially administered by the KHSD Educational Foundation. The event was held on Wednesday, April 25, 2018, at Bakersfield College Simonson Performing Arts Center.